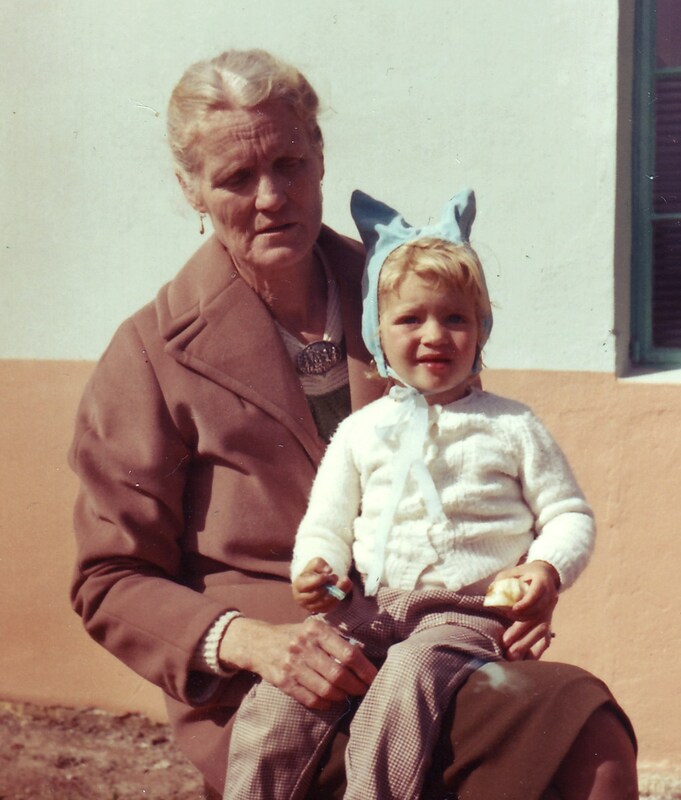 Elizabeth grew up inspired by her grandmother, a dressmaker, teacher and a huge influence on Elizabeth’s life. She made Elizabeth’s clothes and Elizabeth would watch her work in fascination. With an ingrained love of clothing, Elizabeth started learning from a very young age to make her own clothes, as taught by her grandmother. Later, she was able to make whatever she wanted, whenever she wanted it. Her mother provided the patterns and the fabrics on the strict condition that Elizabeth had to use them carefully and that she had to wear what she made. This gave Elizabeth a wonderful sense of freedom of self-expression, not being bound by what was available in small town shops at the time, and also gave her a sense of independence. At the same time, the rigorous rules that her mother placed on her instilled in Elizabeth the importance of not wasting anything, and the follow through to make sure things were designed and constructed well, to ensure that they fit comfortably and stylishly. 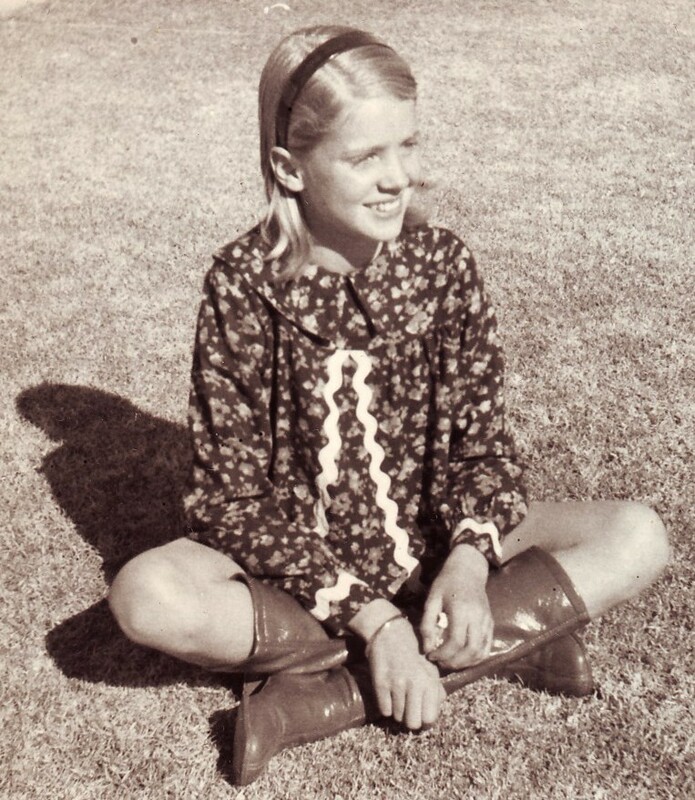 Elizabeth’s childhood experiences, as taught to her by her grandmother and mother, grew into a love of being able to teach others to make their own clothes and achieve their own sense of expression, empowerment and independence. Elizabeth started teaching women to sew in Pretoria so that she could achieve some financial and emotional independence for herself and help other women achieve the same. During this time Elizabeth was running a brand and selling clothes, whilst at the same time providing informal skills training in pattern-making and garment construction. Ten women who were housewives worked with her, meeting once a week in informal spaces such as theatres, church halls and school halls, as a means of enjoyment and earning an income to become more self-sufficient. As a single mother, Elizabeth moved to Cape Town and worked to set up a similar informal initiative, also going into historically disadvantaged areas such as Cloetesville, Idas Valley and Kayamandi to find women who showed an interest and wanted to sew. Many of these women wanted to learn the skills then go back into their communities and sew and sell garments for themselves, so Elizabeth helped them to do this, teaching a group of adult women once a week. 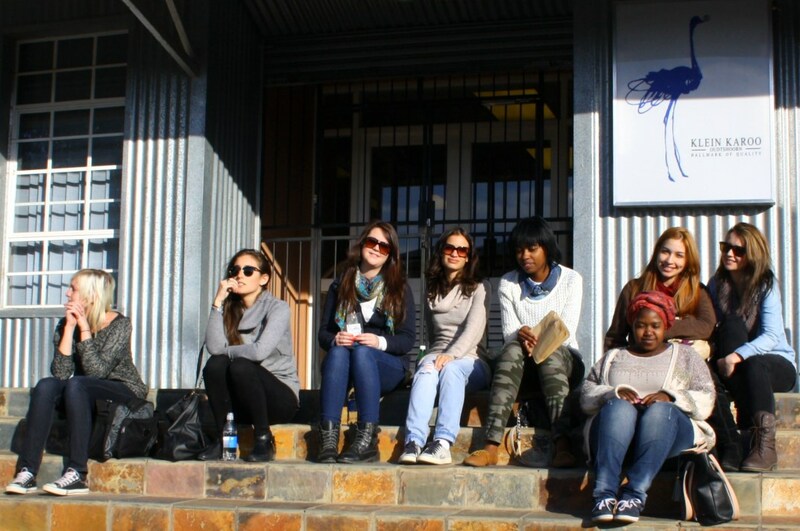 The shift to younger learners happened when one of the women asked whether her daughter, who had just finished matric, could join, and Elizabeth started training her, following which other young people joined. Elizabeth was still teaching informally and renting space but it was at around this time that she approached the bank in order to buy some land. 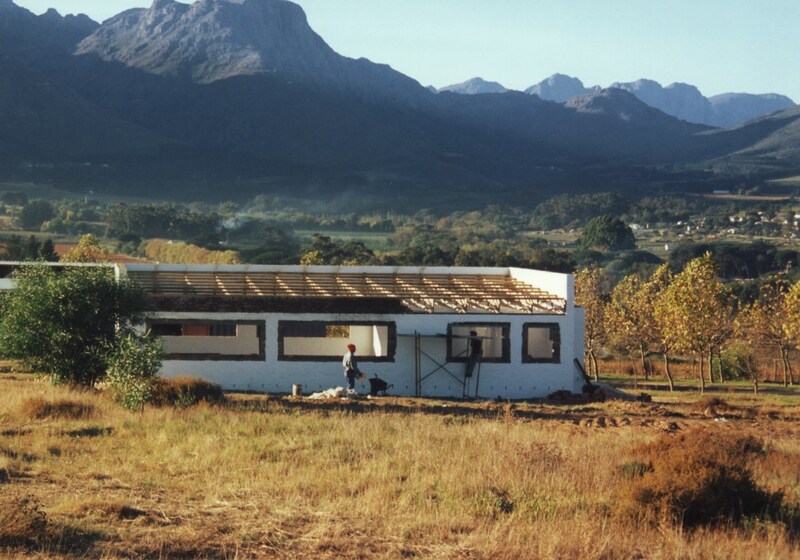 At that time, Technopark in Stellenbosch was just a vast open field and Elizabeth was one of the first to build on what is today a thriving business hub for Stellenbosch and the surrounding areas, with a large number of buildings having sprung up all around her over the years. Originally, it was difficult for Elizabeth to get approved plans because building requirements in Technopark stipulated that 200m2 was the minimum size build, but there weren’t the funds at the time to build to that extent, so a small square block of 100m2 was built with the promise to build bigger later on. 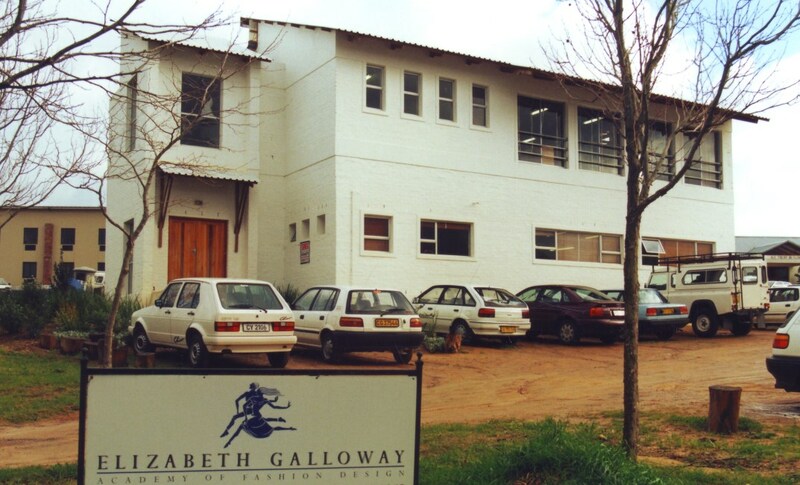 It was 1996 and the Elizabeth Galloway Academy of Fashion was born. Two years later Elizabeth built the second floor, and over a period of time expanded across, followed by the adjoining building next door, as more and more students came through the doors and the school started to establish its reputation for thorough training whilst providing individual attention to students. There wasn’t an overarching strategy at the time of the academy’s inception. 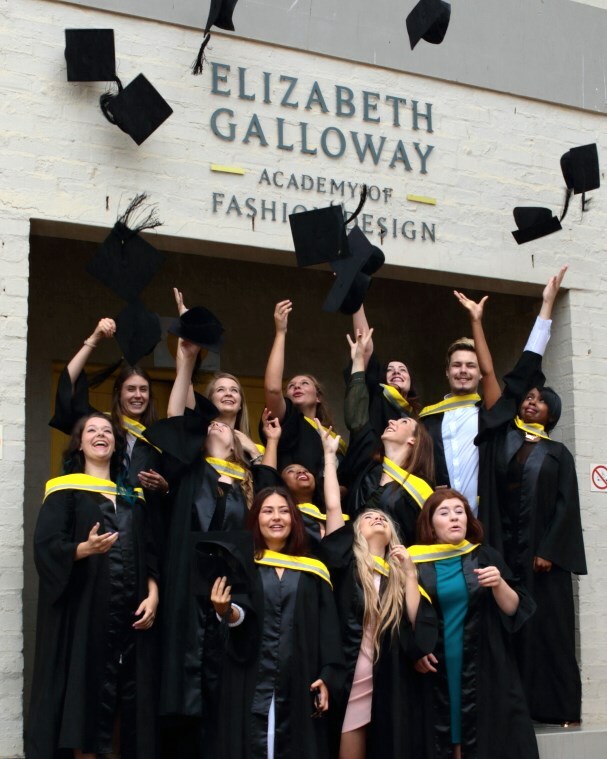 “The story of the Elizabeth Galloway Academy of Fashion is a personal story of survival – when I started the school it was about working towards having bread on the table, and about helping other women gain some financial independence. I didn’t have a grand vision.” As the numbers grew the academy started to take shape organically. Some people at the time thought that starting the school was crazy in the climate of Western Cape clothing manufacturing industry decline at the time. This was due to cheap Chinese imports in conjunction with local manufacturers focusing on exports and eroding their local client base. However, Elizabeth knew there was still an opportunity, and in spite of the decline in local manufacturing, the academy started to thrive. The young people Elizabeth was teaching wanted a qualification that they could take to potential employers, so Elizabeth needed to find ways to formalise the training she was offering. Having heard about the international City & Guilds accreditations in the UK, the process was started of getting those qualifications in Fashion Design in place in 1998. Elizabeth was in her 30’s then and travelled for the first time abroad to take a portfolio of student work across to City & Guilds of London in order to convince them to accredit the academy. Impressed with the work at Elizabeth Galloway, they did. Our first building with 2nd Story, prior to extension. As Elizabeth was aware, external circumstances are always changing and you have to stay relevant and up to date. 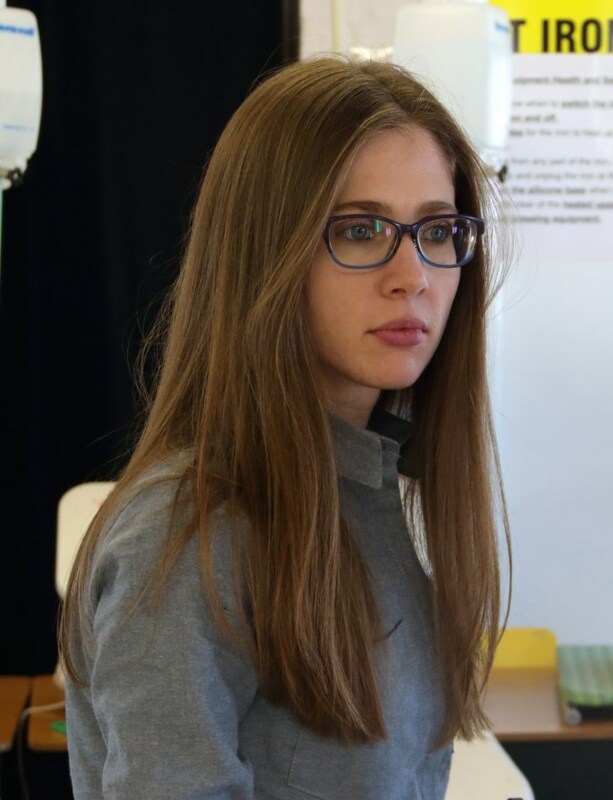 She therefore, from the outset, supported and encouraged her teaching staff to become more highly qualified, core to her aim of focusing on individual growth and empowerment. Elizabeth’s philosophy of investing in staff and their professional development continues to be core to the values of the academy, just as much as staff are invested in the Elizabeth Galloway students and their future career success. From 2004 to 2011 Gideon Malherbe and Elizabeth managed the academy together. A number of the academy’s staff have been with Elizabeth and continuously developing and passing on their expertise to students for many years. Inez, Elizabeth’s oldest daughter, joined the management of the academy in 2009 in a Human Resources capacity, after having studied at UCT. She was made a director in 2011 and now oversees the running of the academy with a combination of fashion and business expertise. 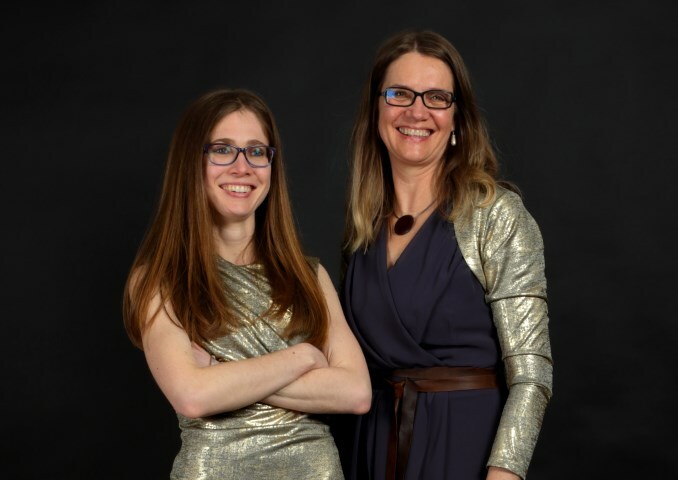 Today, Elizabeth and Inez work hand-in-hand at the academy, each bringing their unique strengths and perspectives to the academy. Elizabeth has always valued the freedom and self-expression that designing and sewing have brought her, and she has a passion for passing that on to students at Elizabeth Galloway. For her, fashion is about individuality, which is something the academy embodies at its core in the culture of the school. “It’s important to not just follow, but to think. It’s not just about glamour, but about what fashion represents, and clothes are intensely personal – they are the closest thing you put next to your body.” From a strong practical training in Fashion Design, Elizabeth also recognises the growing need for a balance of vocational and theoretical and business grounding in fashion: “Vocational training has its place and it’s an important place, and so does an academic education. You need to understand both the academic world and the world of the artisan, in order to grow an industry.” Elizabeth believes that you need to be able to see the wider picture, so the academic side is growing in importance at Elizabeth Galloway, initiated primarily by Inez. Both agree that regardless of the field of fashion that students enter into after they graduate, it is vital that they understand the world of fashion beyond design. The diploma courses take students on a journey “From concept to consumer” to ensure that they develop a strong grounding in the entire process and value chain, and as a result, graduates are highly sought after by industry. As the fields of fashion expand, many students decide to work in retail areas such as buying and visual merchandising instead of design. Elizabeth and Inez jointly emphasise that as a designer there is a strong need to understand the business of the industry and the economy, and that equally in a retail managerial capacity, students still need to understand some of the nitty gritty aspects of design. 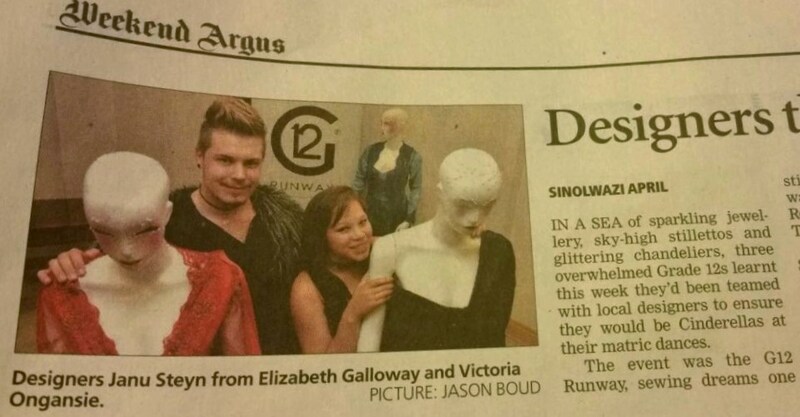 A news feature on Janu & Victoria, 2016 G12 Runway winners. Regardless of which path students decide to pursue following graduation, the academy maintains its approach of building confidence in young students to be themselves and express themselves. “It’s about the individual, every staff member, every student. Rather than selling ourselves on the perceived glamour of the industry, we focus on individual drive, passion and industry impact. Students and staff carry the brand, so by caring about each individual we hope to share in their success,” says Elizabeth. Because of this approach, the academy believes in giving young people an opportunity who might not have the right portfolio, and once enrolled, giving students freedom, space and a nurturing environment. At the same time, the training is demanding and the academy aims to simulate an industry environment in order to ensure graduates are highly equipped and work ready. It is equipped with and trains students on industrial machines, so that they can understand the real processes, potential and limitations of garment quality involved and be well prepared for starting their careers. For the same reason, internships are also a core component of the academy’s programmes, through long established alumni and broader industry links.